WeissCANNON - "Take To The Courts With Heavy Artillery!" Guts and Glory Tennis is pleased to be the official representative for WeissCANNON string products in the United States. 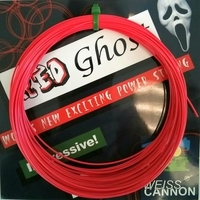 WeissCANNON is an innovative German string brand offering the most advanced and modern string technology currently available. Players using these state-of-the-art strings experience more comfort, more power, more control and ultimately more victories than players using less technologically advanced products. 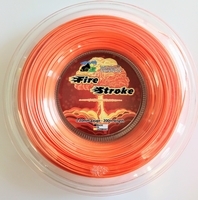 WeissCANNON offers a total of 4 high-tech, new generation poly-based strings to choose from as well as 2 exciting multifilament offerings. We invite you to read and learn about the WeissCANNON products on this site, and then try one or more and discover the difference for yourself. Afterall, why settle for ordinary string products now that the BIG GUNS have arrived? 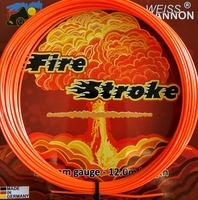 WeissCANNON puts a great deal of time and effort into the research and development of their string offerings. Their lead researcher possesses an advanced engineering degree with an emphasis in "fibres technology." The research team continually works to identify the best types of polyester as well as the chemical additives and corresponding mixture percentages to create superior poly-based products. The result is a line of performance strings that clearly ranks among the top performing poly-based strings currently offered. 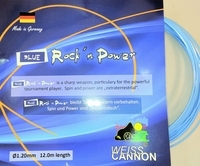 WeissCANNON takes pleasure in introducing our premium quality poly-based and multifiliment strings to tennis players who are seeking the optimum in string performance. Our strings are comprised of some of the most technically advanced materials available that are manufactured to exacting IS9001 quality standards . Yes, the cost for our powerful chemical additives is higher than some lesser quality strings, but we believe tennis players of all skill levels will find the premium performance and string responsiveness to be worth the added cost. 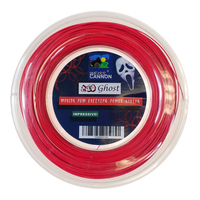 Afterall, you get a longer-lasting, better-playing string for your money and what's not to like about that?